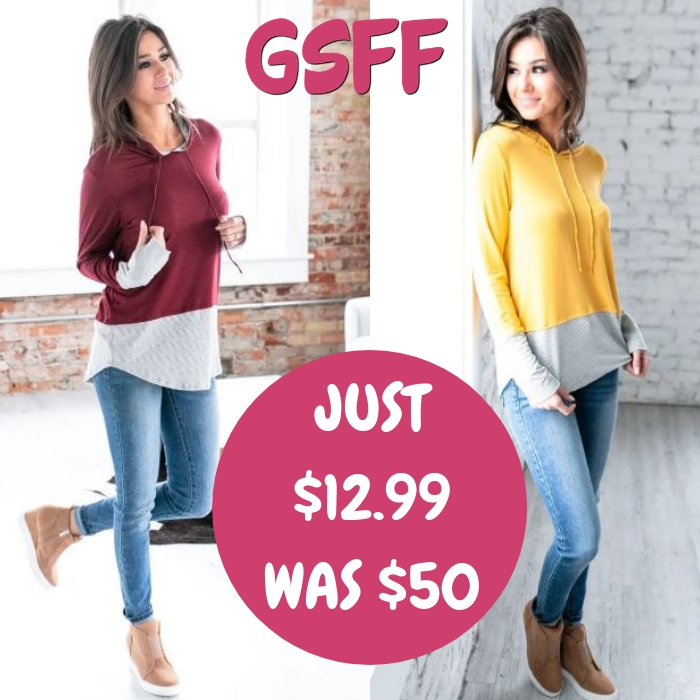 Mason Contrast Pullover Just $12.99! Down From $50! Shipped! You are here: Home / Great Deals / Mason Contrast Pullover Just $12.99! Down From $50! Shipped! This deal expires on February 6! Jane is offering this Mason Contrast Pullover for just $12.99 down from $49.99 PLUS FREE shipping! This Mason Contrast Pullover is a great go-to top for every closet! With a trendy striped pattern on the bottom and cuff of the sleeves, and the and a drawstring hood, this hoodie is a unique and stylish choice this season! The flattering fit and super soft fabric make it perfect to wear with your favorite pair of skinny jeans or leggings!